The AP46 is back - FOR A LIMITED TIME ONLY - while supplies last! 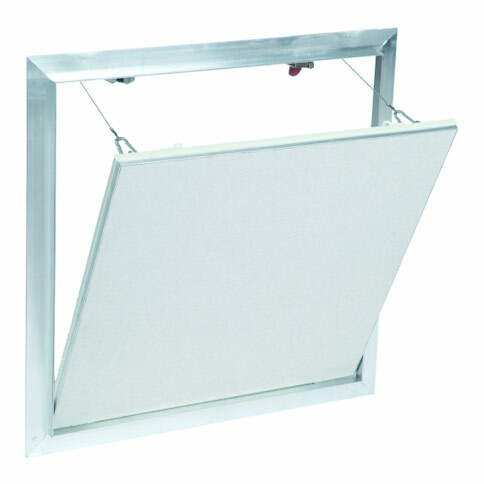 The original 4 x 6 inch plastic access panel with reversible frame (formerly by SACHWIN Products, Inc.). 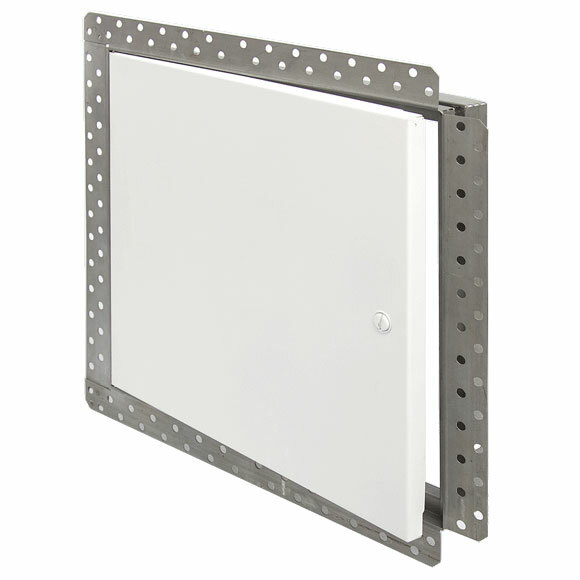 Oatey's AccessAble® access panel provides easy access into walls or ceilings to repair or install plumbing, electrical or electronic wiring or accessories. 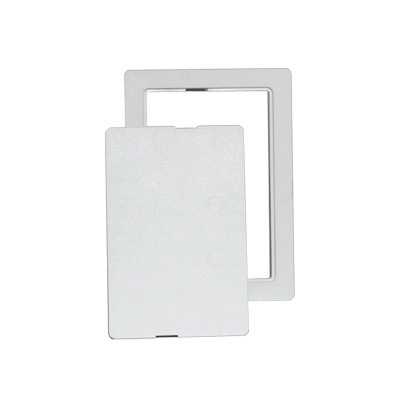 It is versatile in applications and ease of installation. 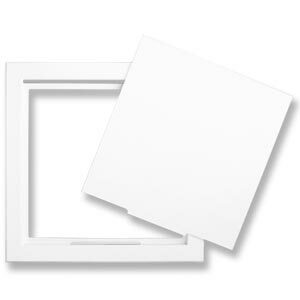 The patented reversible frame allows for installation in either flush mount or surface mount. 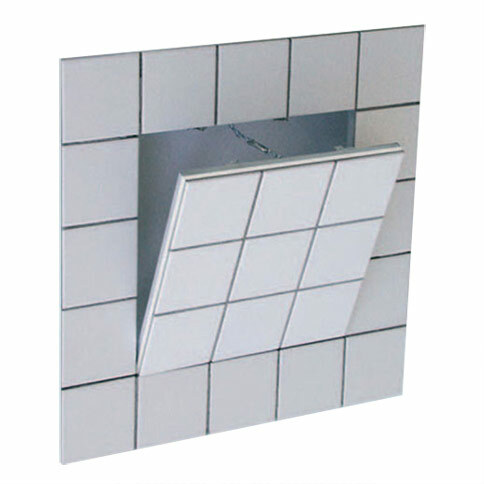 Installed in its natural off-white texture provides for a finished, professional looking installation. The lightly textured surface can be painted, wallpapered, and in the flush mode, tiled over to match surrounding décor. 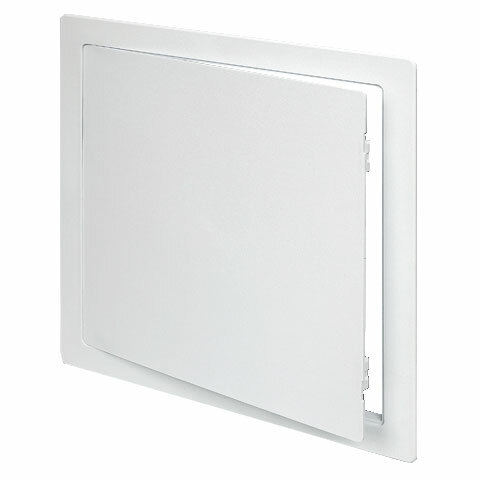 Molded in tough high impact ABS plastic with exclusive features to ensure non-sag doors. This access door has sevaral drill points and knock out tabs on the back that can be easily removed to fish wires through the slot in door. It also features a unique half-moon shaped knock out. 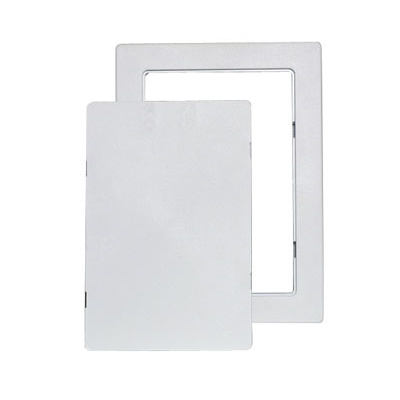 Perfect for flat screen tv floating wall mount installation, hiding cables inside the wall (please use conduit - supplied by others and follow local building codes).